Adsterra is back to Affiliate World Europe! 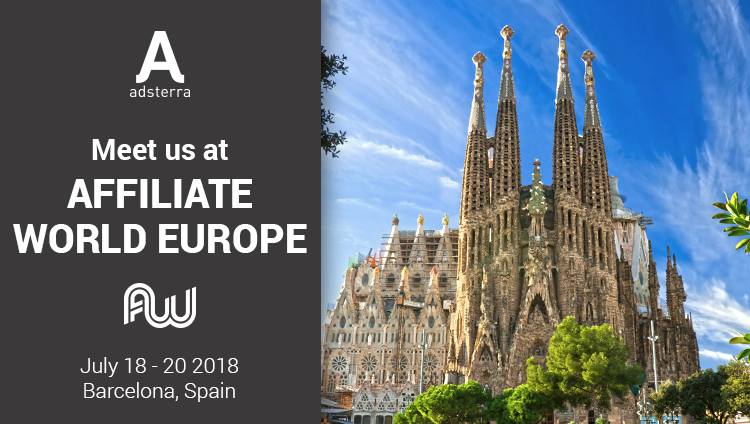 We’re eager to meet you at the largest affiliate marketing conference, held this year in Barcelona, Spain on July 18 – 20! AW Europe is an absolute must for those who care about developing their business and striving for higher ROI. This year over 3 000 top marketing professionals would come to Spain from all over the globe to attend. 30+ mastermind presentations form the best speakers of affiliate marketing industry will keep you engaged till the very end of it. Note, that the whole third day of the conference is dedicated to eCommerce mastery. 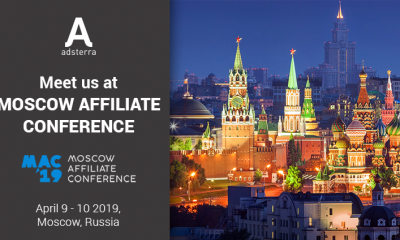 Adsterra team can’t wait to meet you at Affiliate World Europe to discuss ongoing partnership and future business prospects!. Schedule your meeting today!